Hurricane Matthew, a category 4 storm, made landfall at about 7am this morning on the southwestern tip of Haiti. 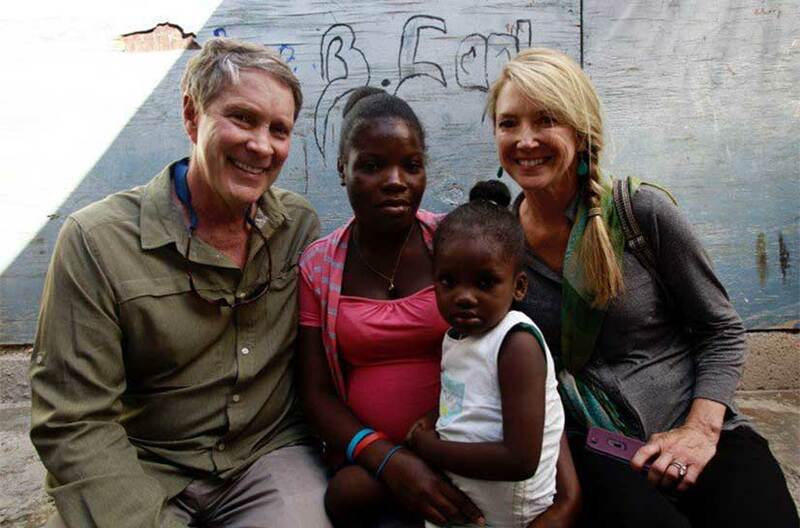 Tracy and I just left Haiti a week ago, where we traveled with Hope Through Healing Hands and CARE to assess progress made since the massive 7.0 magnitude earthquake that struck in January 2010, resulting in 300,000 deaths and 1.5 million displaced people. The full impact of Hurricane Matthew is not yet known, as the storm continues to linger over the island nation. However, reports indicate communities under water, buildings stripped of roofs, and homes damaged or destroyed. At least one citizen is dead and others are missing, although no formal figures have been released yet on the toll taken on human lives. Haiti is the poorest nation in the Western Hemisphere, and much of its population still lives in shanty towns and tents following the earthquake. Some Haitians were hesitant to evacuate for fear of leaving their homes and having their only possessions stolen. Rapid emergency response following a disaster of this magnitude is vital to saving human lives, preventing spread of disease, and mitigating damage to infrastructure. Hope Through Healing Hands is taking action to provide emergency relief and support again for our Haitian friends in Port au Prince and surrounding areas. You can help by donating to the HTHH Hurricane Matthew emergency relief fund here. The funding we raise will be distributed, as we did after the earthquake, with trusted beneficiaries whom we know allocating directly for various relief efforts. Our thoughts and prayers are with the Haitian people today. This entry was posted in Global Health, Haiti, Hope Through Healing Hands. Bookmark the permalink.